There are times in life when you are writing a lot about the wonderful new music that is setting your world on fire. There are other times when you are riding in a car with your friends through epic scenery just listening to music. I’ve been spending a lot of time on the latter but will try to catch up with all the tuneage goodness. Until then, here is my summer jam. 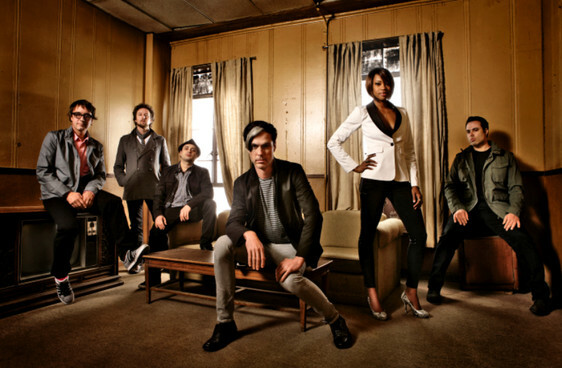 Akin to Jamie Lidell and Mayer Hawthorne, Fitz and the Tantrums has that old school sound I’ve become increasingly obsessed with.Their album came out in 2010 but only recently fell onto my radar with their participation in ACL this year. I’m beyond excited to see them live and until that time, take a break from Adele and check out this performance of ‘Don’t Gotta Work It Out’ in Seattle. This entry was posted in Fitz and the Tantrums. Bookmark the permalink.